My Last, is Unreality, Johnny Depp,. But Bess is lovely as always. Hi Pen, just clicked on your ‘titles at the top of your page and came on this, well,thank you so much for the compliment and the link to my paintings, I keep meaning to put up more stuff, but get distracted. So glad you like your painting, and well that pic of His highness, majesty lordship, call him what you may, he’s just gorgeous |XXXXXX to him and XXXXXXXto Bess, and hugs to you, I’m not into kissing girls.. This is a lovely page and I like how this painting of Bess is found here with your other 2 loves. Love of Soccer or is this what you call ‘football’ ??? Oh dear Johnny Depp is a dream and what a gorgeous hunk of a man!!! I adore him. My heart still finds it way to your loss of Bess. 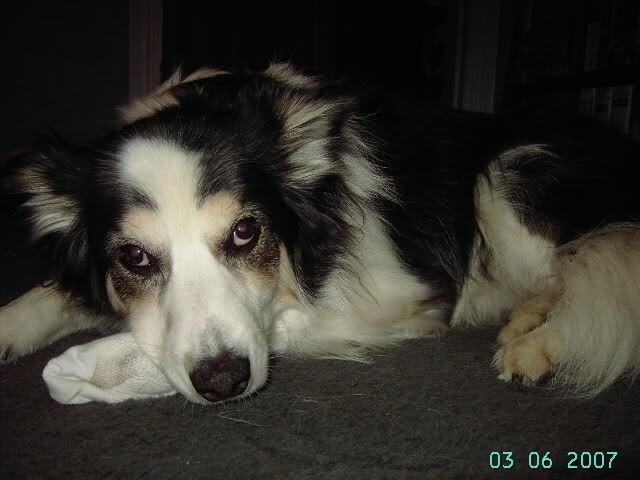 I too lost a dog many years ago….Mitzi…and it took me 15 years to take another one in. I wept for at least a month straight, then off and on after. I love my Kady she is such a sweet companion a blessing to me. hi Raven, many thanks for your lovely, lovely, comment, every time I think about My Girl, which is every day, I find the ready tears flowing over, and now I weep for you and your Mitzi. …. hugs to you my friend, and I am so glad you have found another sweet soul to cherish. 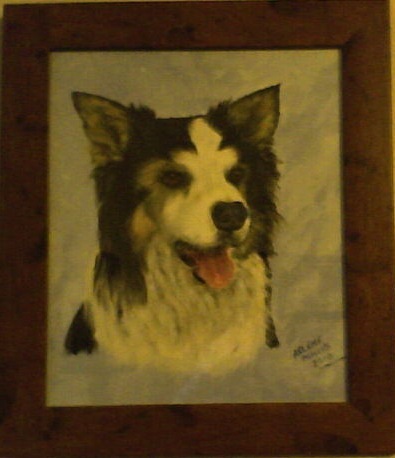 Arlene your friend has done a wonderful painting of your Bess… they bring us so much unconditional love and are truly man’s best Friend..
Not into footie, love your doggie, and Johnny Depp? Well, you have great taste!!! It’s been years and I still pine for the feline friends who passed out of my world in different ways. 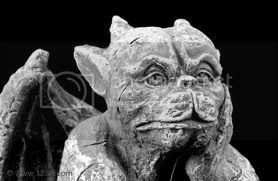 As for the canine escape artist deluxe, well, hell’s bells, how am I supposed to keep in shape when there’s no big dog to chase through the streets, the snow and the rain? The universe is late on sending understudies to my doorsteps. Indeed. Yes, I am waiting. I read you loud and clear regarding your desire for a wee bit wof wee, Lady Pen. Oh yes, the Ode-i would have adored your lush garden. Imagine all the moles and other critters she could meet and greet to her nose’s content. I have indeed been forwards and backwards throug your garden pics. Imagining the scent of damp earth under the leaves. I daresay your Girl is keeping her sniffer on your every move in your lovely oasis. Bess looks lovely. We lost our first collie in 2006, he was a rescue, very protective of me, great fun and a big softy who loved being cuddled on the sofa. I have two now and can often feel he’s walking with us. 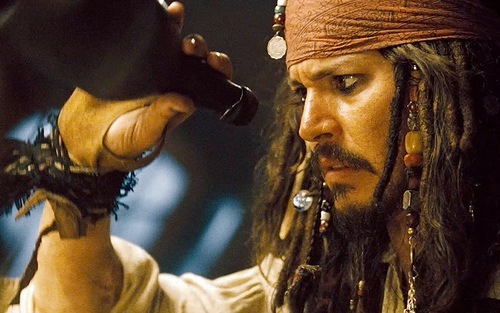 Love JD in Pirates too!